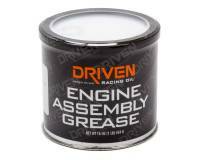 Crane Cams and valve train products and Crane ignitions have powered winning race teams since 1953. Pit Stop USA is The Online Motorsports Superstore! Crane Cams was founded in 1953. Soon, word of the amazing power produced by Crane Cams reached circle track racers. Crane Cams prospered greatly during the "car culture" years of the 1960's and Crane introduced its hallmark, gold-anodized, full-roller aluminum rockers, heat treated chromemoly pushrods, aluminum, steel and titanium valve spring retainers, machined steel valve locks, high-rev kits, and stud girdles. Today, Crane Cams and valve train products and Crane ignitions are among the industryas most popular. We feature Crane Cams Nitro Carb Steel Rocker Arms, Crane Cams rocker arms, Crane Cams Die-Formed Steel Rocker Arms, Crane Cams Energizer Rocker Arms, Crane Cams Gold Race Extruded Roller Rocker Arms, Crane Cams Sportsman Series Shaft-Mount Roller Rocker Arms, Crane Cams Camshafts, Crane Cams Cam Button Spacers, Crane Cams Cam Degreeing Bushings, Crane Cams Cam Followers, Crane Cams Camshaft Lock Plate & Bolt Kit, Crane Cams Distributor Drive Gears, Crane Cams Magneto Drive Gears, Crane Cams Fuel Pressure Regulators and Kits, Crane Cams Fuel Pump Pushrods, Crane Cams Ignitions & Electronics, Crane Cams Lifters, Crane Cams Lubricants, Crane Cams Pushrod Accessories, Crane Cams Pushrods, Crane Cams Rev Kits, Crane Cams Rocker Arm Adjusting Nuts, Crane Cams Rocker Arm Adjusting Nuts Screws, Crane Cams Rocker Arm Conversion Kits, Crane Cams Rocker Arm Shim Kits, Crane Cams Rocker Arm Studs, Crane Cams Rocker Arms, Crane Cams Sport Compact Performance Parts, Crane Cams Timing Chains and Components, Crane Cams Tools, Crane Cams Vacuum Kits, Crane Cams Valve Spring and Retainer Kits, Crane Cams Valve Spring Retainers, Crane Cams Valve Springs, Crane Cams Valve Stem Locks, Crane Cams Valve Stem Seals, Crane Cams Valve Train Accessories at everyday low prices!